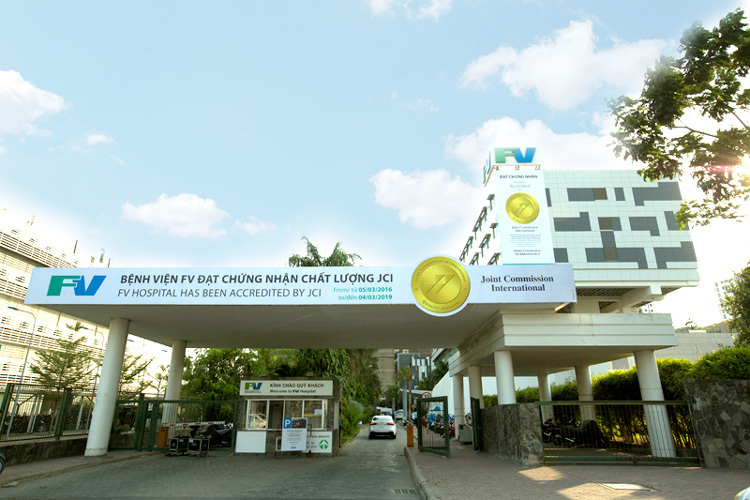 On the 29th of April 2016, FV Hospital celebrates its JCI Accreditation – the world’s leading healthcare accreditation with the most rigorous international standards in quality and patient safety. 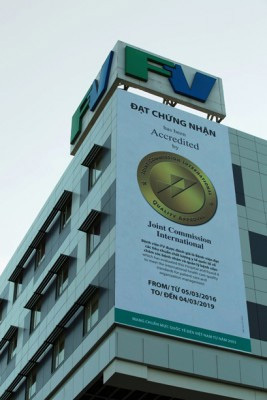 FV Hospital has achieved world-class recognition of its achievements and commitment to excellence after being accredited by the Joint Commission International (JCI) on March the 5th, 2016. JCI is the premier credential for healthcare facilities, accredited hospitals receive the Gold Seal of Approval in recognition of their commitment to safety & quality of patient care and organisation management. 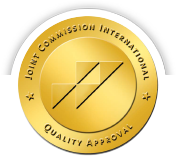 The Joint Commission International is an independent, not-for-profit organisation that evaluates and accredits facilities in Asia, Europe, the Middle East, and South America. JCI works directly with hospitals to achieve their goals of providing high-quality clinical care and services in safe, efficient and well-managed facilities. JCI standards for healthcare accreditation comprise over 14 chapters, featuring 360 standards and more than 1,200 measurement elements. JCI assesses, through a rigorous on-site survey process, a healthcare provider’s quality in the following key areas: international patient safety goals, access to care and continuity of care, patient and family rights, assessment of patients, care of patients, anesthesia and surgical care, medication management and use, patient and family education, quality improvement and patient safety, prevention and control of infections; governance, leadership, and direction; facility management and safety; staff qualifications and education; and management of information. “FV Hospital is extremely proud to have achieved this recognition, a milestone that proves our long-standing commitment to superior patient care,” said Dr Jean-Marcel Guillon, Chief Executive Officer of FV Hospital. Obtaining the accreditation by JCI is the result of the effort by more than one thousand FV members working together as a whole. The hospital’s team of doctors, nurses, clinical and non-clinical staff has been working continuously, both day and night, with great dedication in every detail, and with the highest accuracy anywhere, anytime; toward the goal of being a leading medical provider in Asia. Thousands of policies and procedures were made and put in place, tens of thousands of training sessions were held, hundreds of thousands of non-stop working hours took place, and millions of tracing activities were conducted with the highest spirit to assure patient safety; all to guarantee FV Hospital provides world-class medical expertise people trust. 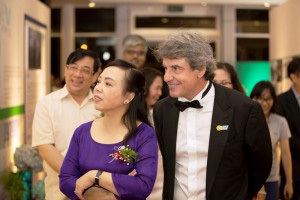 FV’s Leader – Jean-Marcel Guillon, a doctor, who steadily pursued a vision to bring international healthcare standards to Vietnam, with his dedication and determination, has become an outstanding leader who has developed FV Hospital, and made it one of the leading healthcare providers in Asia. 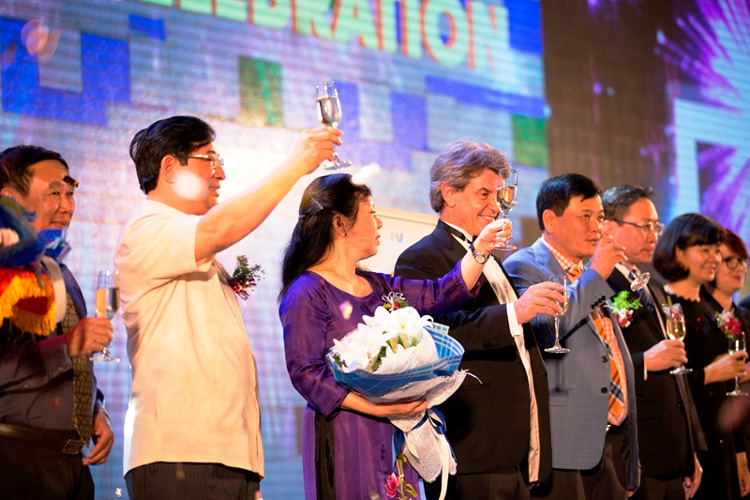 In 1997, Vietnamese authorities decided to encourage foreign investment in the healthcare industry to meet the needs of Vietnamese people by offering them higher standards of health services and reduce the burden of public hospitals, Dr Jean-Marcel Guillon and a group of French doctors, who always wanted to do something for Vietnam, seized this opportunity to make their dream come true. 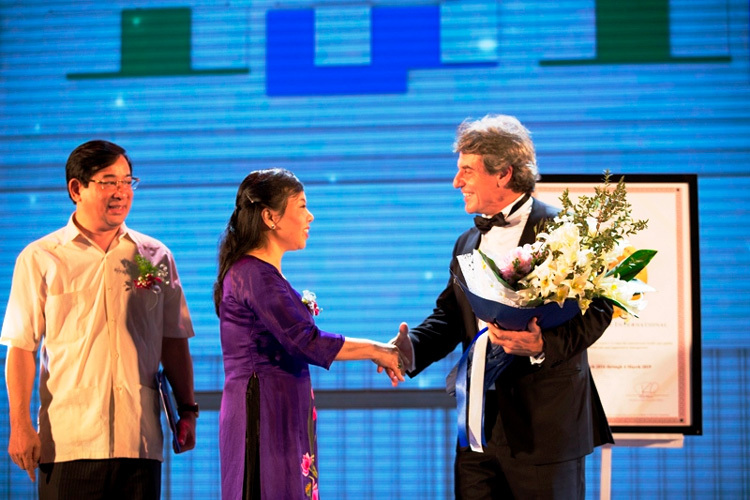 No one would think that the FV Chief Executive Officer, who is a doctor and one of the founders, carried boxes of letters to the post office to send thousands of letters to thousands of doctors to raise funds to invest into this project in Vietnam. This helped the project attract 499 French doctors to become the shareholders of the hospital. Many of them, who are leading physicians and famous not only in France but around the world, come to FV Hospital on a regular basic to transfer new technology, help treat difficult cases, and give advice on the latest international protocols. The Vietnamese government made the right decision to encourage foreign investment in the healthcare industry in Vietnam, and FV Hospital became the example to illustrate how successful it can be, and has encouraged more foreign investment into this sector. 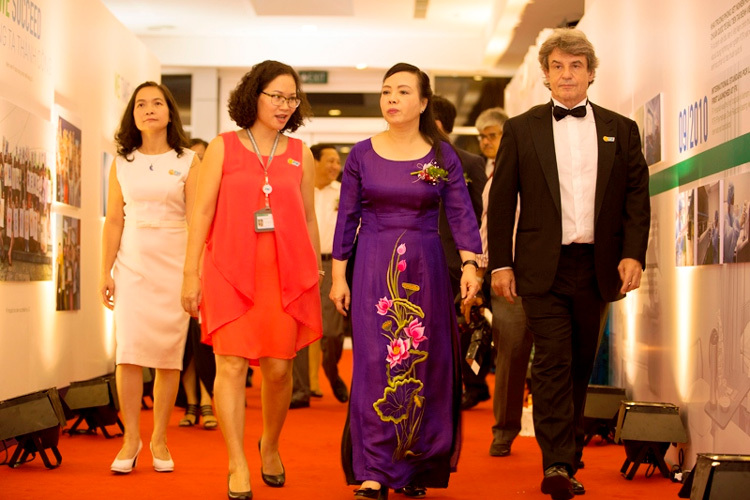 The hospital increased its investment from USD44 million when it opened to USD65 million recently for buying more equipment, building another consultation centre, opening a clinic in District 1 in Ho Chi Minh City, renovating and expanding the outpatient consultation area and paediatric ward; and opening the first one-stop-shop Check-Up Centre in Vietnam. 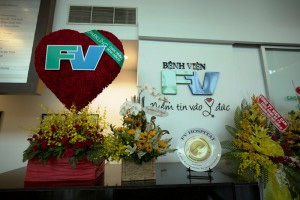 FV Hospital receives more than 200,000 patients a year, most of them Vietnamese but also many expatriates, Westerners as well as Asian, and many Cambodian patients who travel everyday by bus from Phnom Penh. FV has created an ideal medical working environment attracting more than 1000 employees including over 130 full-time doctors, French, Viet Kieu, and Vietnamese. 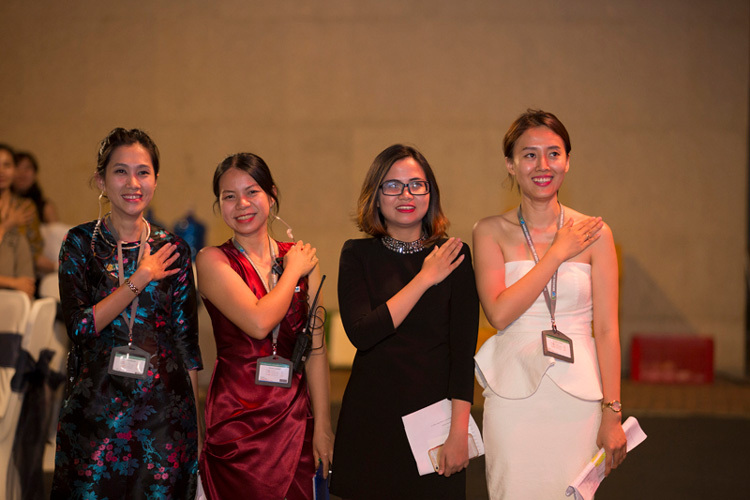 In addition to that, FV Hospital has attracted hundreds of doctors in Ho Chi Minh City to collaborate with in treating patients through FVH Partners Programme. This allows patients more options in selecting their doctors for treatment. FV Hospital is the first hospital in Vietnam trying to develop medical tourism to attract patients from other countries to come for their treatment. It is collaborating with different hospitals in different countries to bring their doctors to FV to treat patients in FV with FV doctors. Following the well-known slogan by the government: “Vietnamese should use Vietnamese products”, the Ministry of Health has encouraged more high quality and modern healthcare facilities to provide international standards of healthcare service to patients, so that Vietnamese people can stay in Vietnam for their treatment. By doing this, the government can avoid Vietnamese people spending millions of USD every year in foreign countries, a phenomenon which is often referred to as, “foreign currency bleeding”. 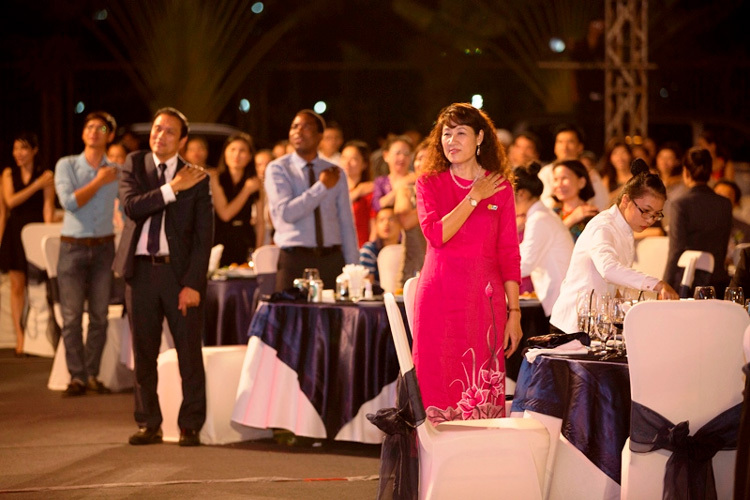 Given with the guideline, and also following its vision ‘to become one of the leading healthcare providers in Asia’, FV Hospital has become a leading healthcare institution that has created an all possible facility with quality of care that ensures Vietnamese people can stay in Vietnam for their treatment. FV was selected by Vietnam’s Ministry of Health to support them in developing all-round healthcare standards for Vietnam.